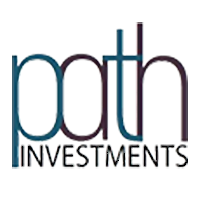 Path Investments plc (LON: PATH) is pleased to announce that the Company has entered into a binding Sale Transfer Agreement with Server Fatih Alpay regarding the sale of the Company’s Turkish interests to him. Under the terms of the STA Path has transferred its 5% shareholdings in each of ARAR Petrol Ve Gaz Arama Uretim Pazarlama Anonim Sirketi and Alpay Enerji A.S. to Mr. Alpay. The consideration payable by Mr. Alpay to the Company is £400,000. In addition, Mr. Alpay has transferred his 357,412 Path Ordinary Shares to the Company to be held in Treasury and his 357,412 Path Deferred Shares to the Company for cancellation. Click PATH for the full archive.